Can a moisturizer treat cancer? How often do you moisturize your skin? Every day? Once a month? Well researchers at Northwestern University in Chicago have given a moisturizer the ability to perform RNA interference and regulate genes. 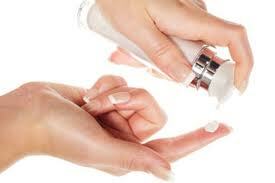 Topical treatments are common for skin cancers like melanoma, as they can be applied directly to the affected cells. But our skin is very effective at blocking toxins getting into our bodies so the challenge was how to cross that barrier. Again, enter the realm of nanotechnology, a topic I post about regularly.